I have been learning so much about the importance of probiotics, especially that they help keep our immune systems strong and healthy. That is especially important during this scary cold and flu season. I want to make certain that my family is well armed against these nasty bugs. As a parent, I do my best to teach my children about hand washing and being careful not to pick up any bad germs. I can provide nutritious meals and make sure they get adequate rest at night, but I cannot protect them 24 hours a day. One thing I can give my family is the best probiotic supplements to help strengthen their immune systems so that they can better fight off those illnesses that they are exposed to. Researchers and doctors alike are confirming the major connections that probiotics have on our overall health. I am also doing my own research, and I am a firm believer in the benefits of taking probiotic supplements to keep our gut flora (good bacteria) balanced. How can I make sure that I am selecting the BEST Probiotic Supplements? In selecting the most effective probiotic supplements, many people believe that it doesn't matter which probiotic they choose, but that is not true! Do your research. If you settle for a probiotic formula that is cheap, then you are probably getting a low quality product that is filled with ineffective and potentially harmful additives such as artificial fillers and colors. To find a high quality probiotic, make sure it was formulated by a doctor who specializes in gut health. Check to see if the probiotic contains more than one strain of beneficial bacteria. It is also very important to make sure that the probiotics you choose aren't being killed off by your stomach acid and rendered useless before they even get into your system. I have tried many brands of probiotics over the last year or so. 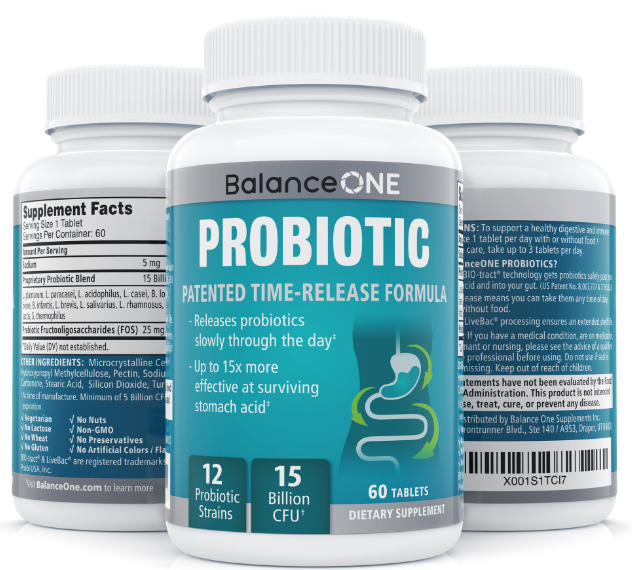 I most recently was given the opportunity to review Balance One probiotics. One thing that stood out to me is the fact that Balance One Probiotic Supplements are formulated to survive stomach acid, so that they can do their job in our gut. Improved deliverability to the gut. Balance One probiotics use patented BIO-tract technology to compress the bacteria into tablets. This protects them from stomach acid and delivers 15 times as many bacteria past the stomach acid barrier (60% viability, compared to only 4% for regular probiotics in veggie capsules). 12 long-lasting probiotic strains, 15 billion CFUs of bacteria. Combined with the delivery technology, this makes Balance One probiotics some of the most powerful on the market. Free of most allergens. Non-GMO, vegan, no dairy, no nuts, no soy, no gluten, and no wheat. It contains no preservatives, artificial colors or flavors. Made in the USA. Balance One probiotics are 100% made in the USA at a GMP-certified facility. Promise to customers. 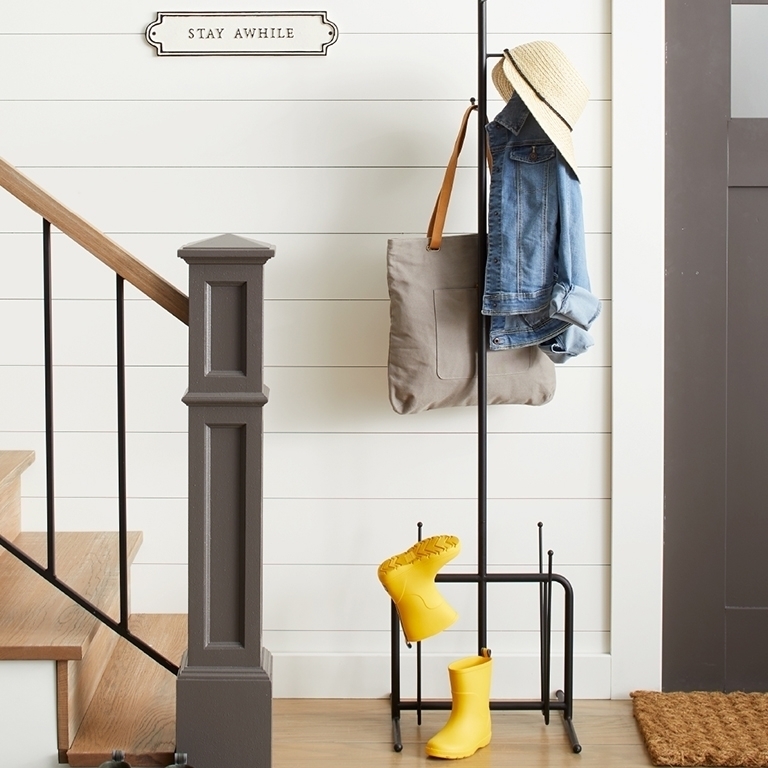 Balance One aims for 100% customer satisfaction. If anyone is unhappy with their product, for any reason, they are happy to offer a full, no-questions-asked refund. What more can you ask for in a probiotic supplement? Balance One Probiotic Supplements have been specially formulated to improve your digestion, boost your gut health, bolster your immunity, and make you feel healthier and stronger than ever. These tablets are very easy to swallow. Even my twelve year old son is able to swallow them without any issues. How? It's easy! Just fill out the Giveaway Tools form below for your chance to win. Not long before saying “yes” to Prince Harry, Meghan Markle posted a blog about her favorite travel essentials. Dr. Ohhira’s Probiotics were on her short list. A reporter for Bustle unearthed this royal advice last month. It was not a paid placement and the probiotic company didn’t find out about it for another 30 days. Suzanne Somers, Kris Carr, Melissa Wood and many other health-savvy devotees and beauty bloggers have made similar unsolicited recommendations of Dr. Ohhira’s probiotics. Dr. Ohhira’s is a celebrity-and-healthcare-practitioner favorite due to its remarkable fermentation process and because it’s the only probiotic supplement on the market today that is actually a fermented food, containing live cultures and postbiotics. 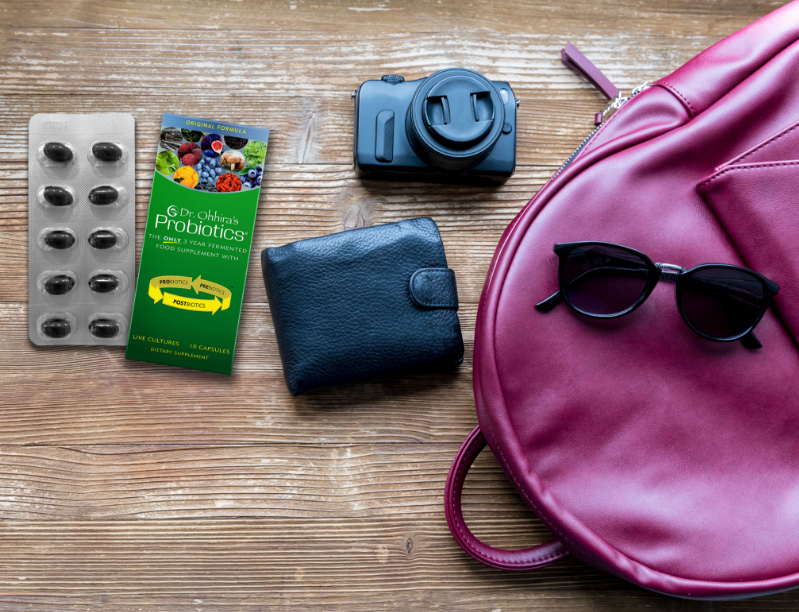 Perfect for travel its probiotic power is contained in a small capsule and presented in convenient blister packs that DO NOT require refrigeration! 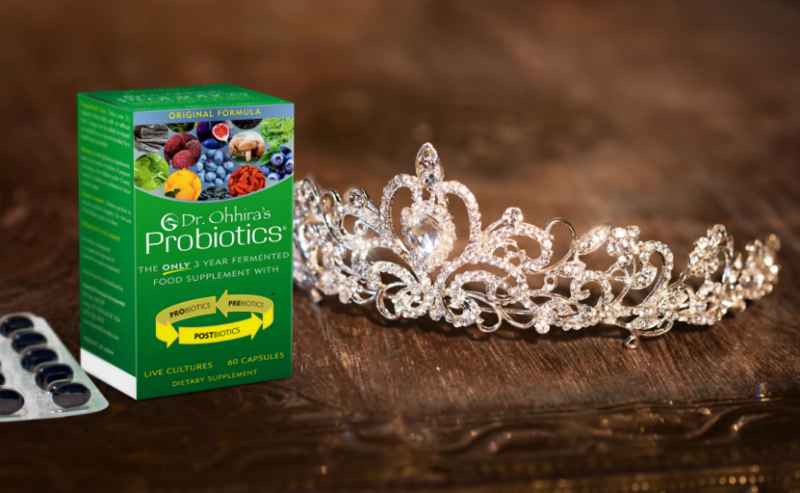 Also, glowing skin and radiant health, like those of the future Princess, can also be a benefit of taking a high quality probiotic. “ Goooo pro…biotics!” Markle says. • prevent colonisation of the gastric mucosa byHelicobacter pylori. 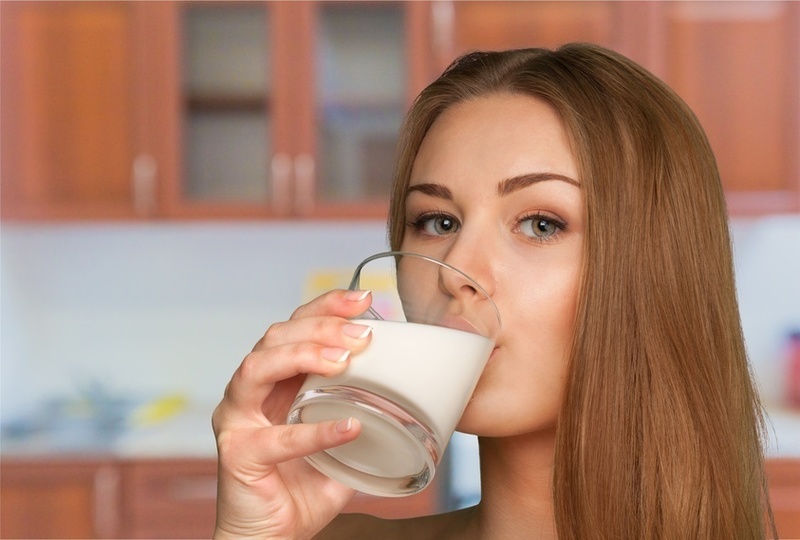 Lactobacillus gasseri, a strain naturally present in human breast milk, is thus part of the group of micro-organisms that are essential for overall equilibrium. A recent discovery, however, has identified its potential in a completely different area - that of weight control. 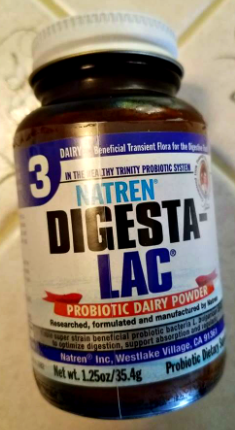 ~Indeed Lactobacillus gasseri represents a major new addition in a field where there is considerable cross-over between genetic and metabolic causes, low metabolic energy, cardiovascular disease and type 2 diabetes. ~A number of studies report that consumption of Lactobacillus gasseri promotes a reduction in abdominal adipose fat. A 12-week, double-blind Japanese study of 210 adults with abdominal adiposity clearly showed that Lactobacillus gasseri reduced BMI (Body Mass Index), waist and hip circumference, and abdominal fat mass by 8.5% in comparison with a control group where no such parameter changes were noted. However, the researchers also found that regular ingestion is necessary for such effects to endure. ~Research published in the journal Nature in 2006 had already indicated that microbial populations in the gut are different between lean and obese people and that when obese people lose weight, the composition of their microflora reverts back to that of individuals with a normal BMI, thus suggesting obesity may have a microbial component. ~Another study conducted on mice also demonstrated that consumption of L. gasseri not only reduced weight and body fat but also lowered blood glucose levels in animals with type 2 diabetes. ~The mice were divided into three groups - the first receiving a normal diet, the second a high-sucrose diet and the third the same high-sucrose diet but supplemented with Lactobacillus gasseri, for a period of 10 weeks. ~At the end of the study, it was shown that L. gasseri considerably reduced bodyweight and adipose tissue in the supplemented mice, and also had substantial ‘anti-diabetes type 2’ activity. ~Sub-cutaneous adipocytes are the major source of leptin and adiponectin. Leptin is an adipocyte hormone which controls weight by regulating food intake and energy output. Leptin concentration is closely linked with body fat percentage and higher serum levels are always found in obese individuals. According to this study, administration of L. gasseri suppressed increases in plasma leptin, suggesting that a reduction in weight and fat mass is associated with a decrease in serum leptin. Similar effects had already been observed in earlier studies. Finally, GLUT4 is one of the main transporters of glucose in skeletal muscle and adipose tissue. Increased expression of the GLUT4 gene in adipose tissue is known to improve the insulin resistance associated with type 2 diabetes. In this study, L. gasseri significantly increased expression of the GLUT4 gene in adipose tissue. In addition, insulin levels fell significantly. Given that in pre-diabetic states, increases in blood glucose stimulate the secretion of insulin, and that hyperinsulinaemia is frequently accompanied by obesity, consumption of L. gasseri would appear to help reduce insulin resistance and thus improve pre-diabetic states. • the anti-diabetes activity of L. gasseri can be attributed to elevated GLUT4 levels and reduced insulin levels. In summary, the probiotic L. gasseri helps reduce bodyweight and adiposity by lowering levels of leptin and insulin, suggesting that it may facilitate treatment of metabolic syndrome. 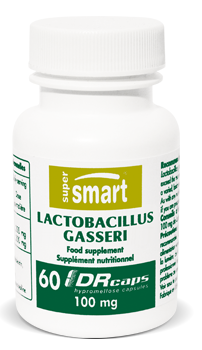 The fact that Lactobacillus gasseri is easy to take, totally safe, with benefits both for the digestive system and for weight control, makes it a ‘must-take’ daily supplement. Alongside the strain Lactobacillus gasseri, other probiotic bacteria may be of interest for their protective effects. They include the patented strain Bacillus subtilis, recognised for its immune-stimulant properties, and Lactobacillus reuteri, indicated for intestinal problems such as diarrhea. As probiotics are particularly vulnerable to stomach acids, Lactobacillus gasseri comes in DR Caps™ - gastro-resistant capsules - to ensure optimal delivery of six billion micro-organisms a day. 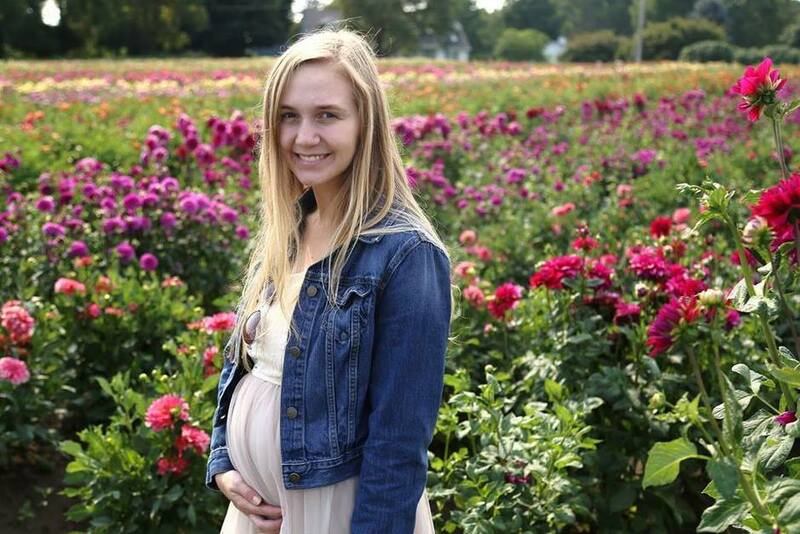 After I had our sweet daughter Reylin, the first weeks were a little rough. Healing from having a baby in general takes some time (I still can’t believe I did that!!) but in the early weeks I came down with a fever and the doctor put me on antibiotics for what they thought was Mastitis. NOT. FUN. I was grateful to have something to start feeling better but after receiving the medication and being told that it would be a good idea for me to take a probiotic I immediately started having mommy guilt as I was still planning on breastfeeding. I did what all new moms do (and probably shouldn’t) I started googling how my new antibiotics could affect baby and I got scared! I didn’t want to hurt this perfect little human in ANY way whatsoever let alone tamper with her sensitive gut health because of my antibiotic! One good thing did happen with my googling; I came across BioGaia baby probiotics. Their extremely natural and heavily researched products are aimed at keeping everyone’s (especially baby’s) gut health as strong as possible. Their formulas containing good bacteria help keep our immune systems strong and fight off illnesses and build up what can be lost by taking things like antibiotics. I checked with my pediatrician like I do before giving baby anything and she agreed that this product would be a great idea so I was sold! I absolutely love/recommend the ‘BioGaia ProTectis Baby with Vitamin D’ drops. Not only does this work great to build baby’s gut health like I was worried about but it also includes the daily dose of Vitamin D that babies need. Since our baby has so far been exclusively breastfed, our pediatrician prescribed us vitamin D drops to give to her daily. (They say that baby’s can lack this vitamin in breast milk, and Oregon is definitely lacking the sun during the winter months). I actually prefer BioGaia vitamin D supplement over the prescription because it contains much more natural ingredients than the drugstores version. (The prescription contained things like caramel flavoring and that just seemed so weird and unnecessary for a newborn!) I love that with using BioGaia’s product I’m not only getting baby extra gut health protection but also giving her the vitamin D she needs too! BioGaia is designed to grow with you and has products for every age. I am excited to continue working with them and using products that I can feel good about for my little one and I encourage you to give them a try too! 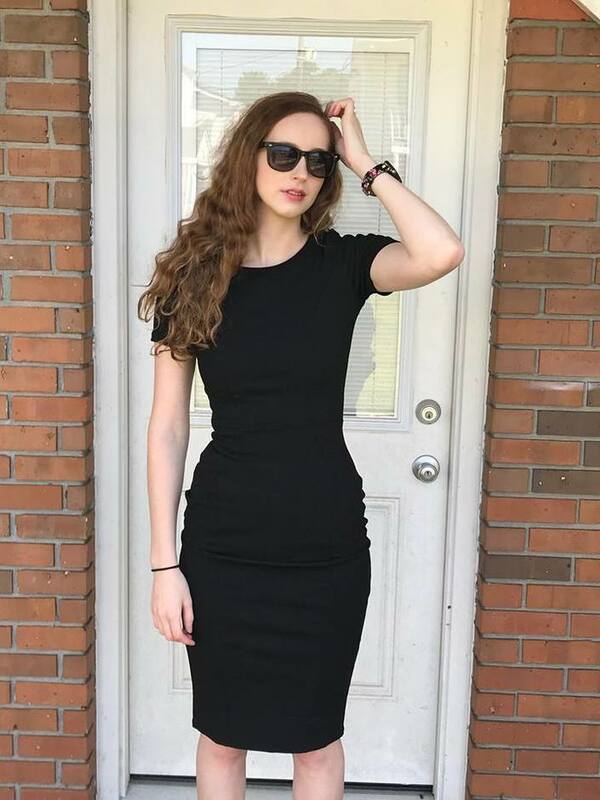  Anything for Beauty! What's the Weirdest Thing You've Put on your Face? What's the weirdest thing you've put on your face? Kim Kardashian put her own blood on her face. People are putting bird poop on their faces to restore luster to their cheeks. Now people are using probiotics, aka healthy bacteria, on their skin to restore the composition of their skin. Using the Natren probiotic powder, Digesta-Lac, you can make a homemade probiotic face mask that provides healthy bacteria to improve the composition of your skins bacteria and generate new collagen to keep skin fresh, elastic and young. It all makes sense. If probiotics are good for our insides, they most certainly are beneficial for our outside as well. I create my face mask by mixing my Natren probiotic powder with a small bit of water and some coconut oil. (Jojoba oil can also be used, it depends on your preference.) I spread it evenly across my freshly cleansed skin. (My face neck and upper chest area.) After leaving this mixture on for about ten minutes, I rinse it well. My face is left soft and radiant for a few days afterward. It is amazing to be able to use probiotics in my beauty routine, when I had always simply used them to help regulate my digestive system! T'is the season to be jolly, but it's also that time of year when colds, viruses and nasty bugs are going around like crazy! Because health concerns and issues arise more frequently in the winter, a probiotic/prebiotic can be a smart choice to replenish a microbiome that is strained for any number of reasons. A huge part of our immune system depends on our gut bacteria! In addition to the 10 trillion cells that make up the human body, each of us is host to 100 trillion bacteria, collectively known as our “microbiome.” In proper balance, these living bacteria can help us digest food and help with general immunity function and balance. But, all too frequently, modern life throws off that balance and those living bacteria can become depleted or even disappear. Family Flora targeted probiotic/prebiotic supplements add living bacteria back into your system. Synbiotics are the combination of Probiotics + Prebiotics where probiotics are the “good” bacteria and prebiotics are essentially the “food” for that good bacteria. Sometimes our body’s own defenses are unable to fight health challenges, and medication is required. Certain over-the-counter and prescribed medications can wreak havoc on the body’s microbiome, causing an upset stomach and other GI tract concerns. Family Flora’s Flora Renew Probiotic + Prebiotic delivers a two-culture combination plus organic prebiotic formula that can help renew your gut's good bacteria after it’s depleted during a course of antibiotics or other medication. 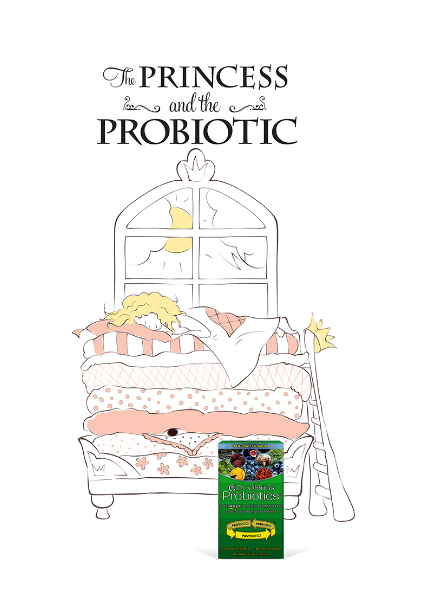 I am a huge believer in the immune system benefits of taking probiotics daily. I have see it first hand. 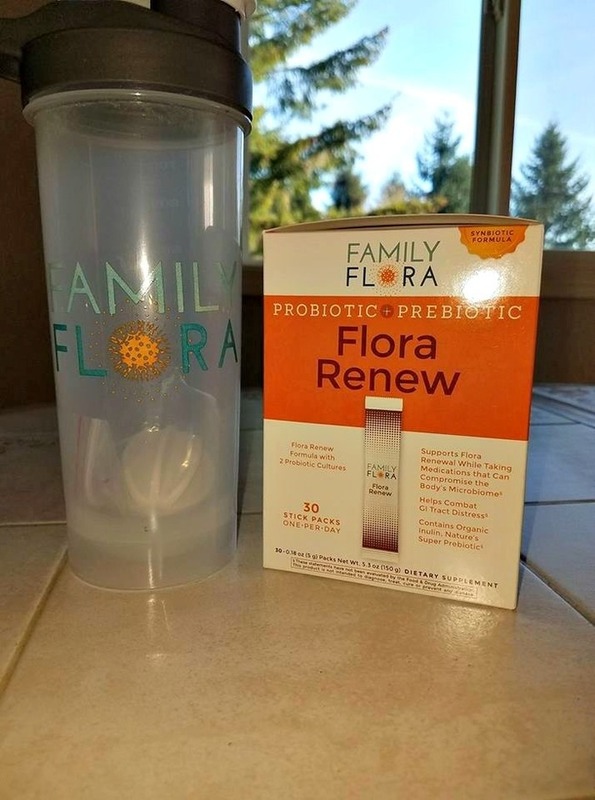 I received samples of Family Flora’s Flora Renew Probiotic + Prebiotic to review, and I have been giving it to my ten-year old son daily for nearly a month now. Most of his friends have terrible colds and stomach bugs, and my child has been exposed to so much this winter. Sometimes our body’s own defenses are unable to fight things like infection. This is when medication may be required (and can save lives). Certain OTC and prescribed medications, foods and even alcohol can wreak havoc on the body’s microbiome. This can be a cause of stomach upset and other GI tract issues. Family Flora’s Flora Renew Probiotic + Prebiotic delivers a 15.2 Billion CFU, two culture combination plus prebiotic formula that can help replenish some of the flora lost during these treatments. I simply add a packet of Flora Renew to my son's favorite breakfast smoothie, or to his oatmeal. It has a very pleasant sweet taste. 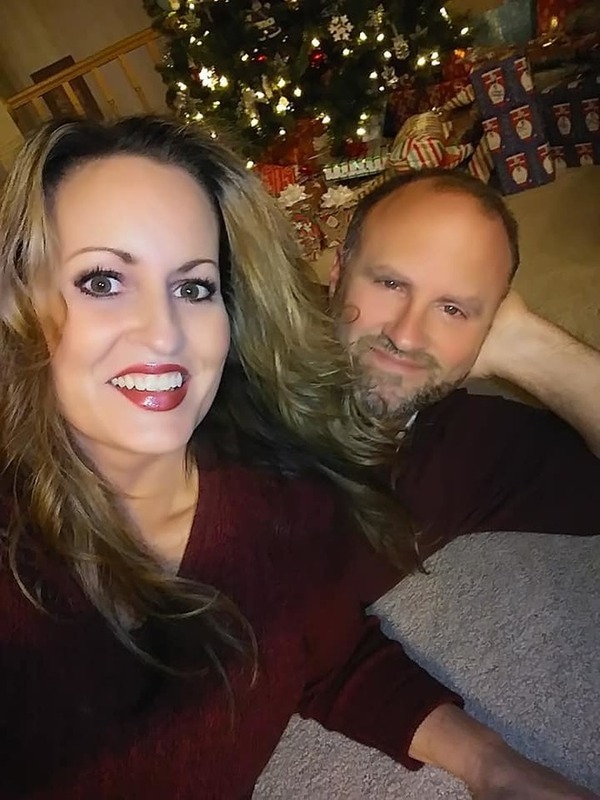 My son has not had anything more than a slight case of a cold over winter break, even though he was exposed to the stomach flu and a horrible virus that most of my family had. I truly believe that his immune system has been strengthened with the help of Flora Renew supplements.  Are Probiotics Really Helping? Probiotics taught us that bacteria is good for your health but it hasn't proven to be a long lasting solution to gut problems. A healthy gut needs more than probiotics. It needs dirt. Dr. Zach Bush, a triple board certified physician with expertise in Internal Medicine, Endocrinology, Metabolism, Hospice and Palliative Care, has the facts on what probiotics actually are, what they can do for you and other solutions for your gut health instead. Even if you eat a clean, non-GMO, gluten-free, and organic diet, you are still susceptible to air, water, and food contaminated with herbicides called glyphosate which you may have heard of. These herbicides can damage tight junctions which block toxins and lock in nutrients. Nature has it's own antidote to glyphosate discovered in unspoiled, ancient soil 10 feet below the southwest desert. This soil is proven to increase tight junctions to promote a healthy internal firewall, which helps create a more resilient system by supporting gut health, respiratory wellness, balanced immune function, and enhanced mental clarity in the face of environmental factors. Thankfully, there is a supplement that can help! It is called RESTORE. Our bodies need dirt, and RESTORE is full of it! I was sent a sample bottle of RESTORE to review. It could not have come to me at a better time. A little under two weeks ago, I was very sick with a UTI and I was also diagnosed with walking pneumonia (at the same time!) I was shocked. Needless to say, I was given two prescriptions for two strong antibiotics. The doctor warned me that I could expect to develop a yeast infection from taking these antibiotics. A few days after starting these drugs, my infections were clearing up, my my mouth and tongue got sore. I realized that I had developed thrush in my mouth. Yuck! Thankfully, I remembered to take a teaspoon of Restore. I had almost forgotten that I received it, since I had been so sick. Honestly,my first taste of it kind of made me cringe, but then I got used to it and it wasn't that bad tasting at all. I started taking a teaspoon of it, 3 times each day. My thrush symptoms were gone by the next day, and I never developed a yeast infection. 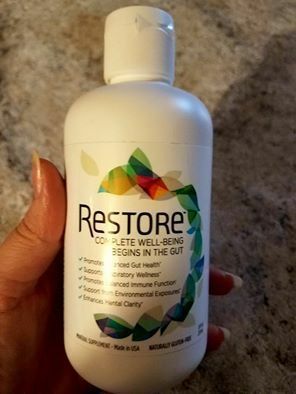 After looking at the bottle and reading all of the health benefits that are available by taking RESTORE (including increased mental clarity and a better night's sleep among others) I am completely sold and I will definitely make it a priority to take this health enhancing supplement on a regular basis, especially when I am on antibiotics! RESTORE is available at GNC, DrugStore.com, thousands of health practitioners offices and soon be be at Walgreens and Organic Avenue.